TOKY is in the midst of rebranding Bellefontaine Cemetery, a tranquil and nationally unique 314-acre site in St. Louis dating back to 1849. 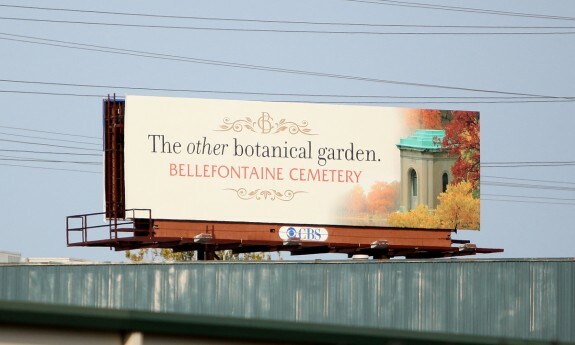 While our research evidenced regional knowledge of Bellefontaine as a cemetery with history, few seemed to understand that the destination is a full-fledged (and indeed accredited) arboretum, with more than 4,000 trees representing over 100 species, and historically notable architecture and sculpture. Considering these offerings sit within an exceptional rolling landscape, Bellefontaine has the potential to be considered one of the region’s great outdoor destinations. Toward that goal, TOKY has developed a new brand platform for the organization and, during the past few weeks, unveiled the first coordinated advertising campaign to kick it off. The reaction has been fantastic and immediate. Our team concepted, wrote, and designed a series of five outdoor boards — seen throughout the St. Louis region — that presents the storied organization as a destination that rightly belongs on the Must Visit list of any local or visitor. Our friends at Bellefontaine told us that the very first Saturday after the boards went up, attendance jumped significantly, with some late-comers even showing up at the gates in the late afternoon, hoping to make it in before closing. Among those who noticed the billboard series was a news reporter for KPLR-11, who, within a day or two, had booked Bellefontaine for an onsite segment. 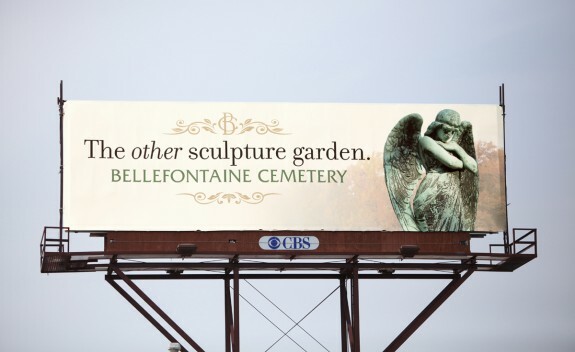 The piece, “Cemetery Doubles As Botanical Garden,” featured interviews with Bellefontaine Vice President Richard Lay and Director of Landscape Design Eären Hummel. The segment aired twice on KPLR-11 and focused on the very messaging TOKY developed with Bellefontaine. Keep your eyes peeled for TOKY’s other two billboards in the series — “The other forest park” and “The other walk of fame.” And if you find yourself with a few spare hours, this is a pretty lovely place to spend an afternoon in October. Or November. Update: Additional coverage in the St. Louis Post-Dispatch and St. Louis Egotist (which refers to the campaign as “spot-on” and “perfect’).